Father Xavier-Arnauld Fagba is a notable example of a leader who lives out love and forgiveness in the face of trials. 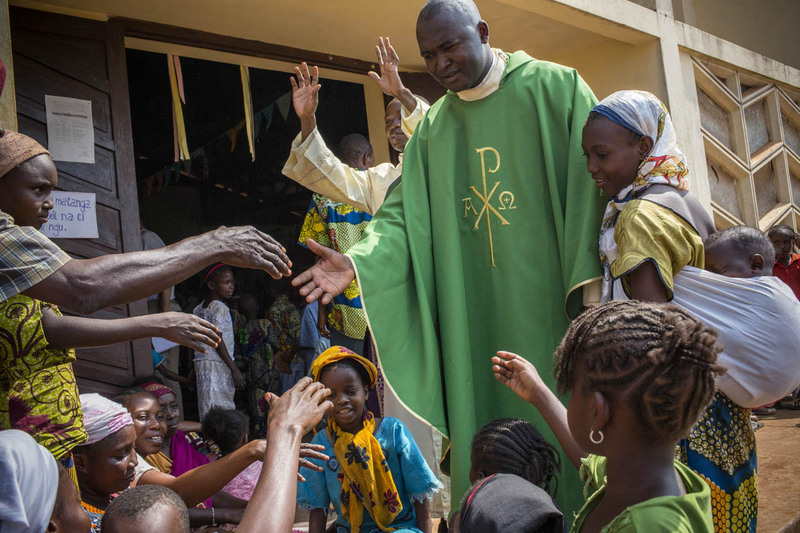 As the leader of a Catholic congregation in the Central African Republic town of Boali, Father Fagba has had plenty of opportunities to decide whether to encourage peace or revenge. The nation of Central African Republic has been the sight of much violence both before and after the Muslim rebel group Seleka overthrew the government in March 2013(1). The Seleka particularly targeted Christians in villages across the country leading up to the coup. They spread terror and violence in their wake. In response to this violence, Christian militias began popping up to defend themselves against the group. As the Seleka were partially disbanded and pushed back, these new militias began to hunt down Muslim populations in retribution for the Seleka’s actions. It is precisely these groups, and more particularly the Anti-Balaka group, which have caused Boali’s Muslim population to hide. In the midst of this tense situation Father Fagba went house to house, drawing out Muslims to seek shelter in the relative safety of his Church. His efforts have protected 650 Muslims from the village. BBC. “Central African Republic profile” BBC Online. http://www.bbc.com/news/world-africa-13150040. Accessed 4/4/14. Bouckaert, Peter. “Dispatches: Central African Republic- “We will take our revenge” Human Rights Watch Online. http://www.hrw.org/news/2014/01/28/dispatches-central-african-republic-we-will-take-our-revenge. Accessed 4/4/14. Harding, Andrew. “CAR Crisis: The Church sheltering Muslims” BBC Online. http://www.bbc.com/news/world-africa-26169941. Accessed 4/3/14. Bouchaert. “Dispatches: Central African Republic.” (See footnote 2). Harding. “CAR Crisis.” (see footnote 3).